Paul Vaughan posted a link on Suggestions to a story on an Icelandic web site. Iceland’s Hekla volcano poses a real threat to passenger jets, according to Professor of Geophysics at the University of Iceland, Páll Einarsson. Despite written warnings from Einarsson to the Icelandic Transport Authority, transatlantic jets are still flying directly over South Iceland’s famous active volcano and are taking a “needless risk”. The riposte is as usual and yet the good professor only suggests a tiny change in route… I’d keep well clear unless there is a jolly good reason, lot of space on long haul. Technically I can guess why, aircraft route between radio beacons. The Talkshop routes between articles, volcanoes erupt from time to time. Icelandic are of especial interest given the proximity to the UK and the high sulphur content, both capable of influence here. Some claim with historic reason for famine. Note: “erupted regularly every ten years in the second half of the 20th century (1970, 1980-81, 1991, 2000).”. How odd given the Pause. I’ve recently seen papers claiming volcanic eruptions cause cooling and cause warming, ho ho, what goes up must come down. Then there is the trail of surprised findings of Pinatubo not showing where I expected yet was supposed to have had a monumental effect. Erupted 15N, claimed gloabl effect, big trace reported far north, none in South Africa, a remark in a study there, couldn’t find a trace in most data. Nor have I found it so far in satellite area mapping. I’d expect this to originate near the volcano. Actually I don’t buy much effect, I think it is an excuse for what is not known. So okay, when is Hekla going to heckle? In other words, we are over-due for an eruption, that could “flip us into an ice-age” (as the papers would report it) … but certainly would give us a lot of snow and ice and make the climate alarmists look very carefully at the lynch mob coming to get them and put them before the courts. Observing any mob. Such has little regard for courts. Revenge is desired, even with casualties. Many more casualties on the opposition is the desire. Perhaps in a “civilized” society, with pitchforks, such can get the alarmist to voluntarily run up the mountain and throw self into the volcano. Litigation is not required nor desired. Volcanic aerosols load annual interhemispheric spatial patterns and that aliases up into coarser interannual hemispheric aggregations, notably contrasts. The problem with quantitative conceptualization comes with the assumption of uniform global surface blends. VAs are often just rocking a spatial pattern (a spatial contrast) with zero-sum time-integral. VAs are coupled dynamically to ENSO & IPO. I don’t think it’s useful to frame it as one causing the other. It’s more that they’re tied together in a geophysical whole in which water’s a thoroughly multi-faceted agent, necessitating more holistic conceptualization. If solar cycle length changes abruptly we’ll face potentially terrifying disruptions despite the best ace-level contingency planning wealthy nations’ money can buy. No earthly power will be sufficient to prevent global geopolitical shift. Tim, I have to question this “Not been much recently for volcano folks”. They may not be the massive headline grabbing volcanoes, but there are a lot of them, plus there seems to be quite a bit of undersea activity as well. ACO, … at the Talkshop. 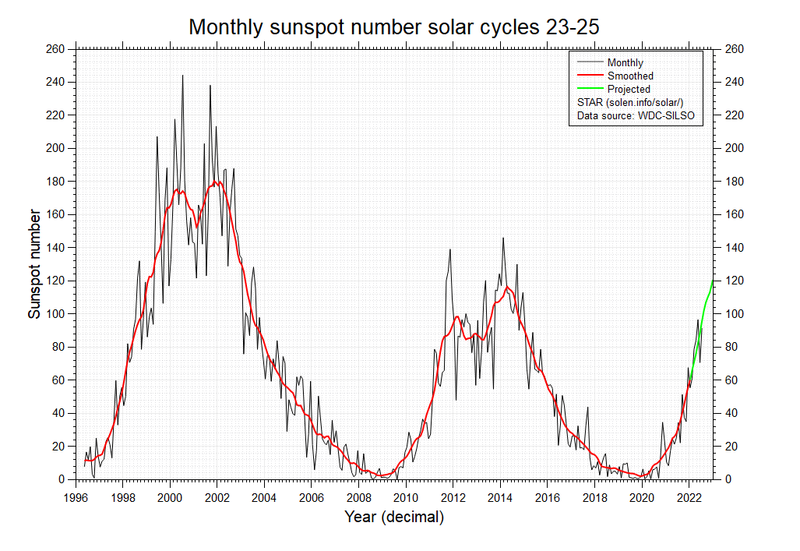 Solar cycle 24 is on the downward slope now. Effects uncertain. A different kind of eruption in Iceland yesterday. 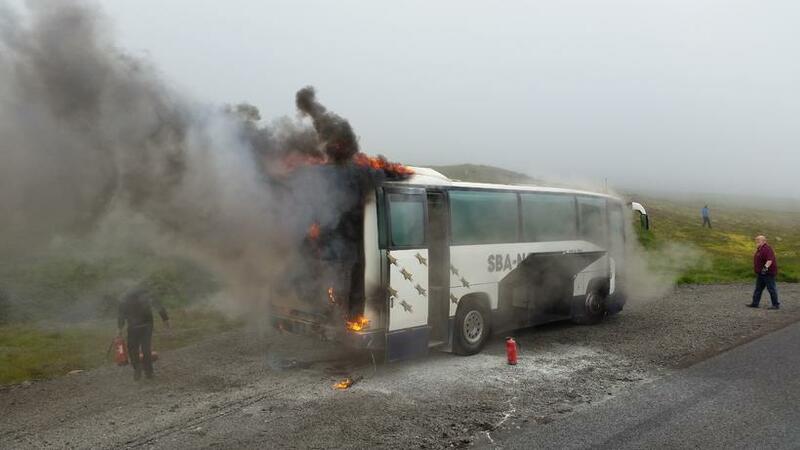 ‘A coach carrying thirty foreign tourists on their way to Akureyri in North Iceland caught fire yesterday afternoon. Whenever it next goes down, be ready to shift allegiances and fit into a new normal, because some of the big players who may currently be your best allies will be taken down by nature herself. Survivors will rapidly realign in a new formation. Have a contingency plan ready. Know who you’ll be willing to ally with if other combos of regional powers go down by nature’s overpowering hand. A C Osborn (August 8, 2015 at 9:58 am) got the tip. The security advice I would give: Well in advance China, Russia, Europe, & USA should negotiate an agreement on what they will do to maintain world security when it happens. More frankly: These 4 players should form a strong publicly visible alliance now. When this naturally cataclysmic event goes down, it’s going to put today’s quibbles amongst these players into a thoroughly trivializing perspective. Volcanic ash disrupting air travel over Bali, Indonesia.